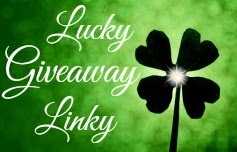 A Lucky Ladybug: Don't Be Fooled #SCAM Blogger Alert! Don't Be Fooled #SCAM Blogger Alert! I've waited quite a while to post something on my blog regarding this topic but I feel it is due time. While I am sure a lot of you have seen my Facebook mentions of the scamming blogger, I have waited to share the ugly details. PLEASE read this with an open mind that this type of behavior has been documented and tracked now legally. 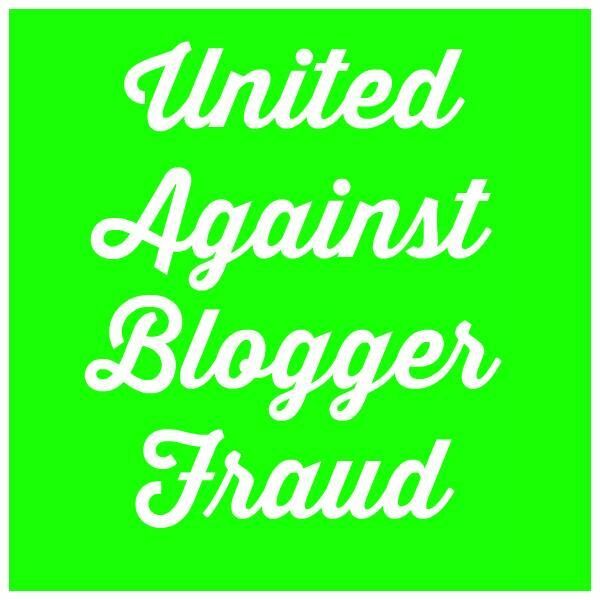 Bloggers and Sweepers you need to be aware of the fraud and embezzlement that is happening in the cyber world. Teri Hardy Hatland aka. 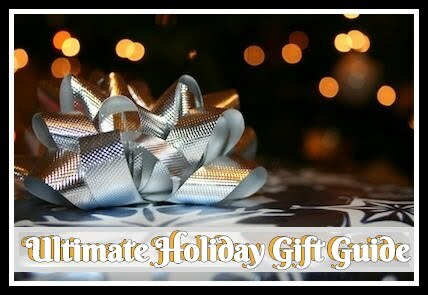 Mom Powered Media, Motherhood Defined, Mom to Bed by 8, Iowa Mom, Midwest Traveling Foodie, No Coupon Diva, Secret Southern Couture, and probably many more alias's we are still unaware of is the blogger I hope you all will stay far far away from. I stood up to her years ago regarding her practices and she quickly blocked me from her groups (May 2013). Few seemed to care other than my close blogger friends who seemed to have the same gut feeling about her. I didn’t make a big deal though because I didn’t have anything vested in the professional relationship between the two of us. I wrote her off as just not a good person and went on with my own blogging ventures. I continued to watch over the past few years commenting when I would see something come up regarding her name or blog but still felt that people had to form their own opinions of her. I feel terrible for not warning others when I first knew as maybe if I had many of my friends and peers wouldn't have been taken for thousands of their hard earned money. YES THOUSANDS. However, the standing by stops NOW! 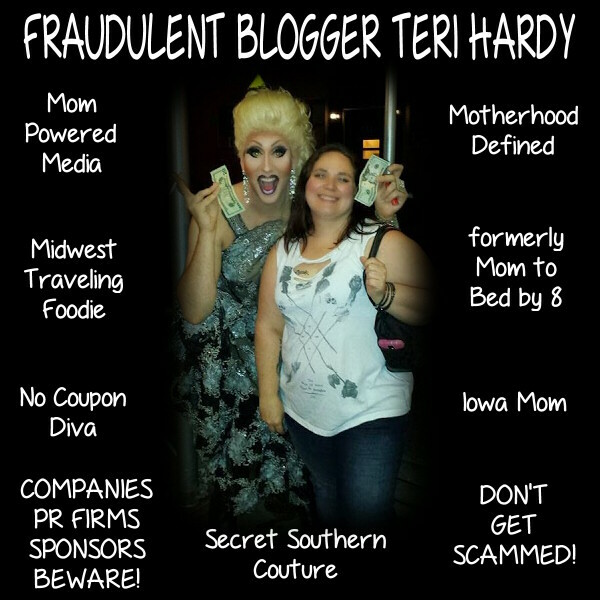 Below are several of the fraudulent complaints made against Teri Hardy and her "businesses". There was an MPM Conference scheduled to be held in Minneapolis from August 7, 2015 to August 9, 2015 which was canceled. The bloggers we have spoken with who purchased tickets have not received a refund. The hotel was not notified AND Teri is still accepting reservations on the facebook page for Mom Powered Media which links to Eventbrite. The conference website was removed as of 5/18/15 at 12:58AM. An undisclosed member of the family has indicated that money was still owed to Cyndee for her work with the company in question that was never paid. They did receive the funds from the GoFundMe account (which the company in question matched up to $1000) but as of 05/28/2015 not one dime of the funds raised through the Cyndee Wells Auction(s) has been paid to the family." I personally donated $585. While I received my ads and miscellaneous products from other bloggers. My ads were never placed on Teri's websites (Mom to Bed by 8 and Secret Southern Couture). I worked very hard on getting in touch with Teri for this brand and her responses were nasty to both the Brand Owner as well as myself. She threatened to ruin me if I continued to bother her over one stupid product. This is when she decided to block me from her groups. 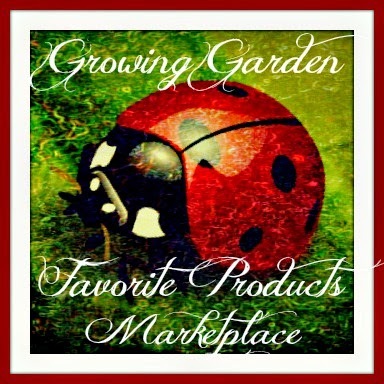 "OWNER spoke with me about becoming a partner for COMPANY. I would own 33% of the company for $50,000. She claimed that she had made over $300,000 in the past year. With all of her blogger opportunities and services that were being sold to companies by herself and other employees (some of which paid money to her to earn a higher commission, and a percentage of what COMPANY made as a whole) it sounded like a great opportunity. Not only that, the COMPANY conference that was coming up August 7th-9th 2015, OWNER said I would personally make anywhere from $40,000 to upwards of $60,000, as my cut of profits...She also stated at anytime if I had to leave for any reason, she would just buy back my share of what I put in, which at this time is $6011.45. OWNER wrote up contracts (from an online source, even though she said her lawyer did them) emailed them to me. I signed them and had them notarized and then overnighted them to her on January 4th, which is what everything was dated for. As stated by her, as well as in the contracts (COMPANY Partnership Agreement, Loan Agreement, and an agreement for a business we were starting together called COMPANY) she was to provide copies of these signed and notarized (on her end) agreements within 7 days. I never received them, then I moved and things were chaotic, so it slipped my mind. She was also supposed to file the businesses, REDACTED and REDACTED, in the State of Iowa, with me listed as part-owner. This was never done. There are no businesses with these names or anything by her in the State of Iowa. Nothing is registered. Just with those two things alone OWNER is in breach of contract. This is not the first time I've heard these amounts or story from other bloggers over the past three years. Over three years ago, I wrote quite a few sponsored posts for Teri and getting paid was always a nightmare. Payment was very little and would come 90 days or more after and I would have to email her constantly to "remind her". I was paid though for each post eventually. 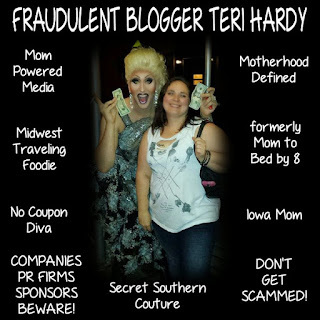 Please take a second to read this article "An Alert for the Blogging Community" written by a peer with factual statements and documents regarding all complaints filed against Teri Hardy. Have paid for a #MPM2015 Conference ticket and not received a refund. The conference was scheduled to be held Friday, August 7, 2015 through Sunday, August 9, 2015 in Minneapolis, MN. This event has been canceled but as of 7/21/2015 she has not removed the booking option from her Facebook fan page or from the MPM website! While you do NOT need to list your personal information on the survey if you wish to remain anonymous – we ask that you do. Your information will not be shared with anyone other than a select group of individuals working to uncover the damage that this woman has caused to the blogging community. You can find the survey here – https://www.surveymonkey.com/s/X2R5N7L – just fill in as much information as possible so that it can be turned over to the proper authorities and justice can finally be served to bring about this fraud that has been ongoing for years. 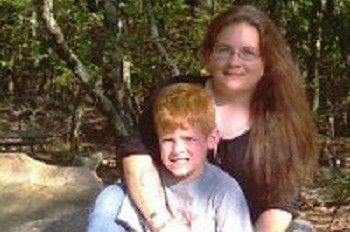 There is a Pinterest Board with all of the documents uncovered that show this is an issue that goes back many years, and includes defrauding her own mother who had to take her to court for stealing from her. ALSO, I am hereby giving notice to all affiliates, companies, representatives, public relation firms, fellow bloggers that are affiliated with any of Teri Hardy’s websites that I will no longer do business with you. 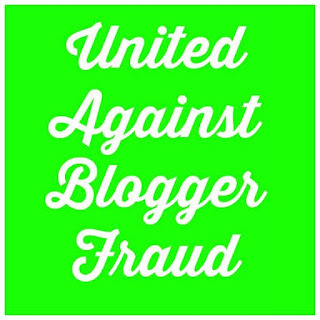 Any individual who blatantly disregards the code of conduct that professional bloggers adhere to and does not follow through with providing giveaway prizes won, that continues to defraud his or her fellow bloggers and continues to put a smear on the very business that I love dearly is not someone I wish to be associated with. Thank you for sharing your post Randi!!! You have a huge following, and getting the word out to others about this fraudulent blogger is exactly what we ALL need to be doing! Bless you! This needs to be shared and shared frequently. I do not want this one person tarnishing what a lot of us have worked very hard to accomplish in our career as writers/bloggers. Thank you for posting this. I had won a couple of prizes from her on her Mom to Bed by 8 blog and never received them. She never would answer my emails about the prizes. I finally just quit entering any of her contests on the blogs I knew were connected to hers. I knew about 3 of her blogs, but did not know she had 4 more. Thank you for posting all of the blogs so I know to stay away from those as well! I filled out the survey and actually had one of the winning emails saved. Oh that is great to hear Fawn, please feel free to share with anyone else you think might have been "had" by her. At this point I refuse to work with anyone who chooses to remain associated with her or any of her blogs. Definitely gut wrenching for our community of bloggers and sweepers. I've been slowly filtering through alllll my posts for the past few years and rewriting any of the ones that have those blog names linked!!! I think I might have "liked" a couple of her FB groups and possibly followed some of the Twitter a/cs and Mom Powered Media sounds familiar-but I never actually did anything with her thankfully-at least not knowingly!! This makes me happy that I rarely do product reviews and don't pay to be a sponsor of giveaways (one or two and I think I won 2 sponsorships) but never with this women! I sincerely hope they catch up with her and she gets what she deserves! The woman should be in prison. She even ripped off her mother. What a douche!